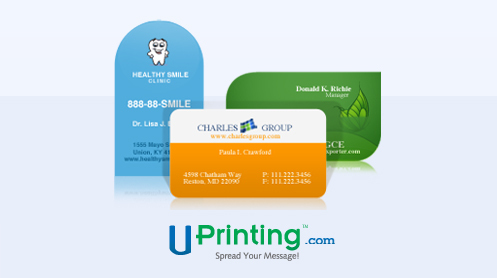 Today’s giveaway is from UPrinting, an online printing company that offers business card printing and business card design services, so if you're looking to make new business cards, this giveaway is perfect. To enter to win, simply follow me on Twitter and leave a comment below with what you plan to use the business cards for. You can enter this contest on Foodhogger as well as Photohogger for more chances to win! Contest ends on MONDAY OCTOBER 24th at 5pmEST. This contest is limited to US residents ONLY. You have to be 18 and and over. Disclaimer: This giveaway is sponsored by UPrinting, no monetary compensation was given and I will receive a set of business cards for hosting.